A truck dog box is the safe, comfortable way to bring your dogs along for the adventure. 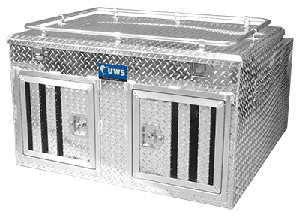 Our dog boxes for trucks are available in northern and southern styles, and we offer an integrated storage chest option. Each dog truck box is made from aluminum, right here in the USA.